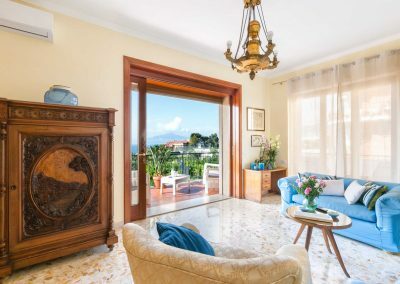 In the quiet and central area of Sorrento, this marvelous apartment with sea view terrace can comfortably host 8 guests and offers everything you could need for a stay of comfort and relax: three spacious bedrooms with king size beds, two bathrooms, sea view terrace & lounge, two living rooms with sofa bed, two kitchens and huge terrace furnished with dining table and sofas. 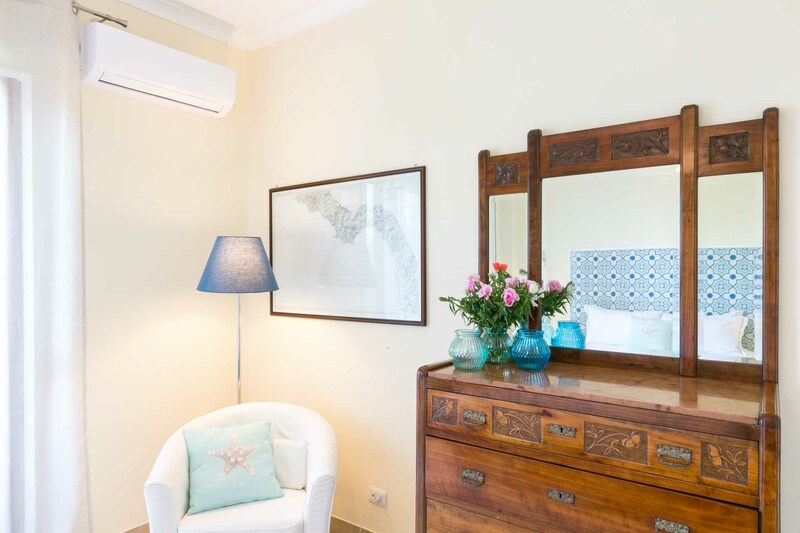 Bedrooms · King size beds or twin beds, terrace, A/C, USB plug. 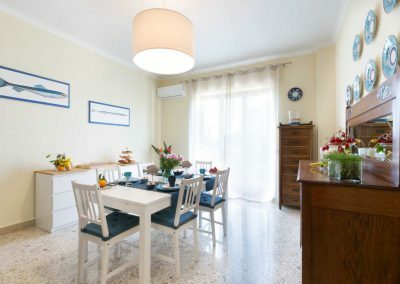 Living room & kitchen · With TV, reading area, A/C. 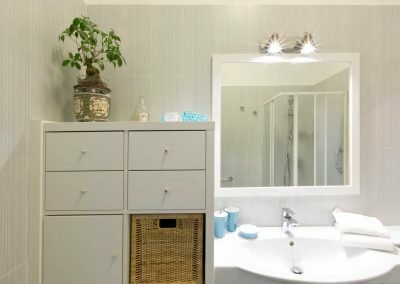 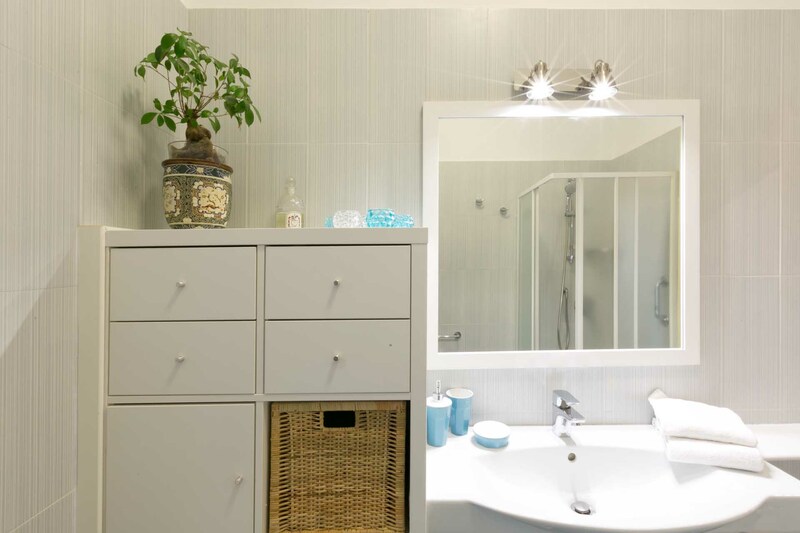 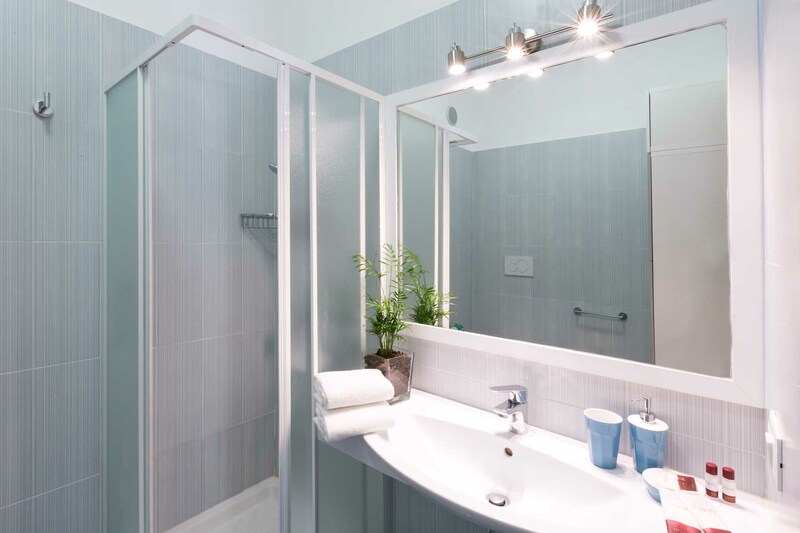 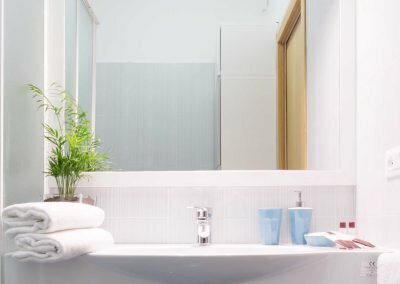 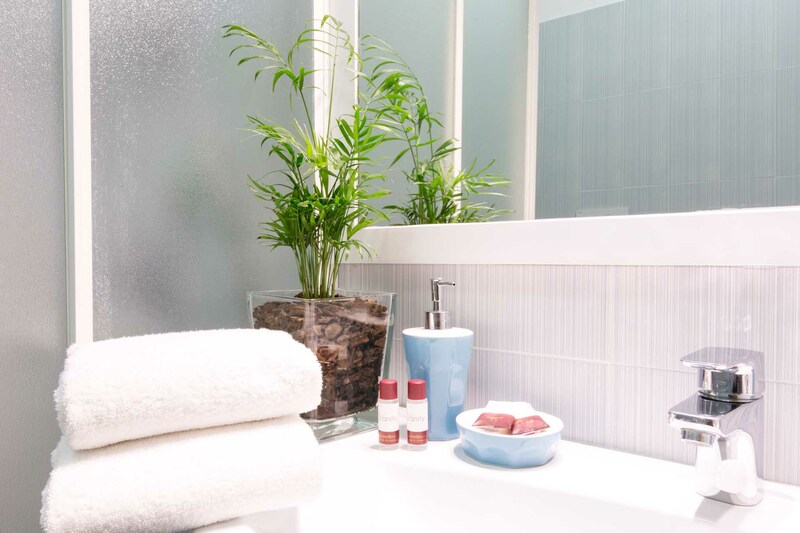 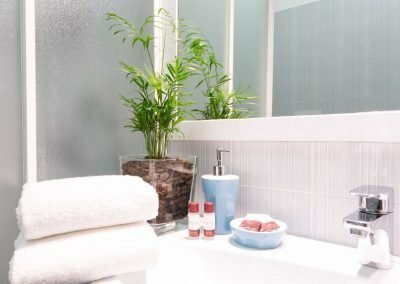 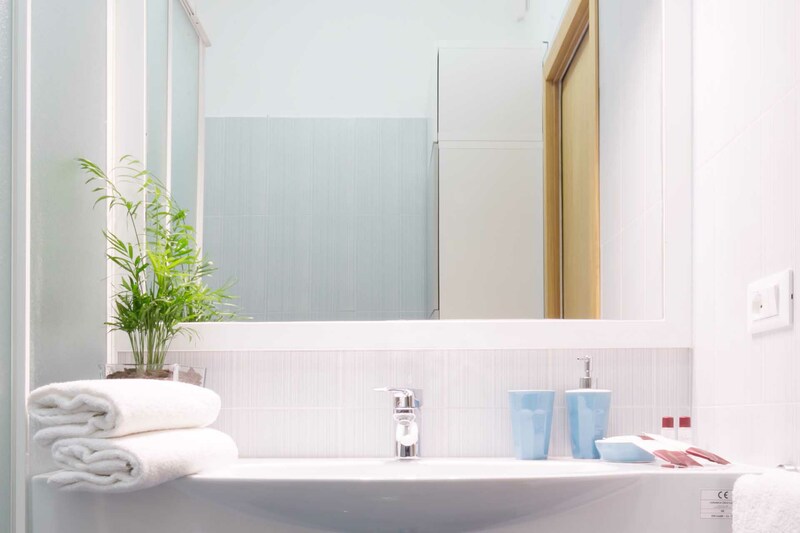 Bathrooms · With shower and courtesy kit. 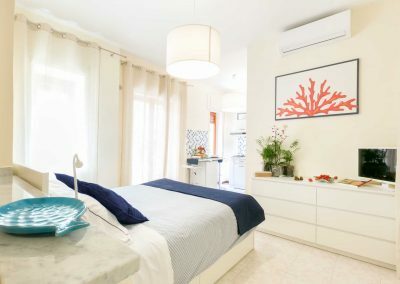 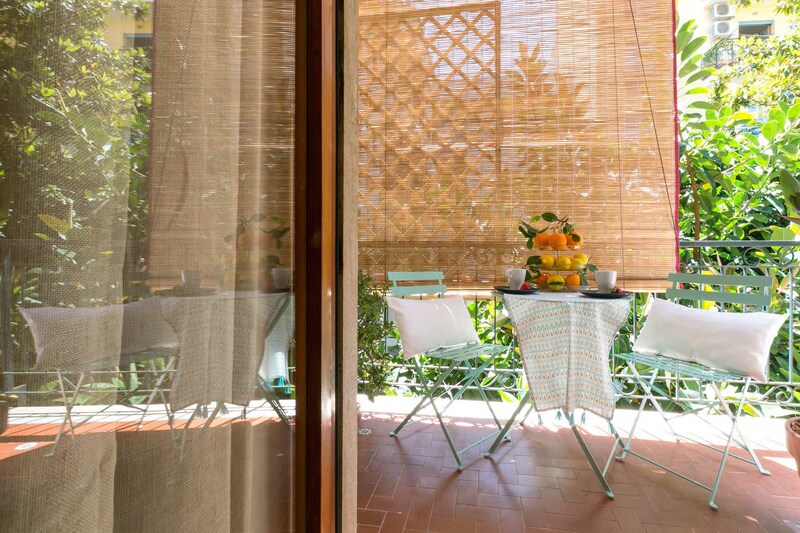 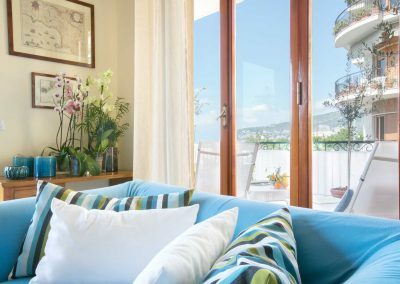 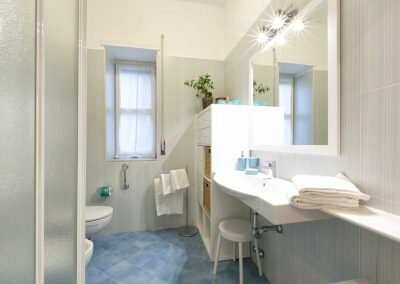 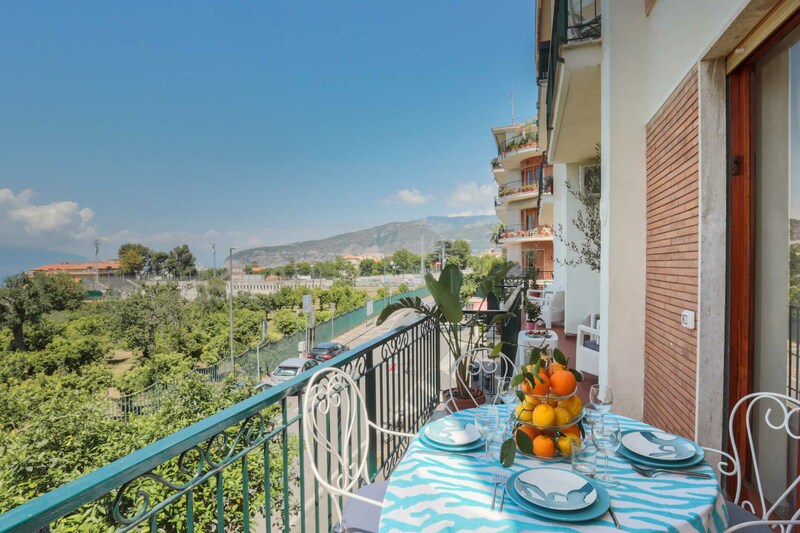 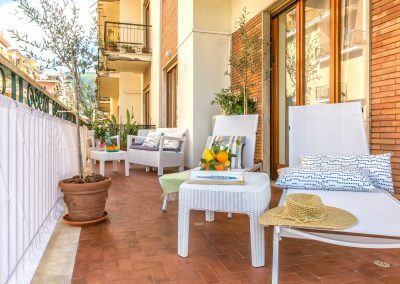 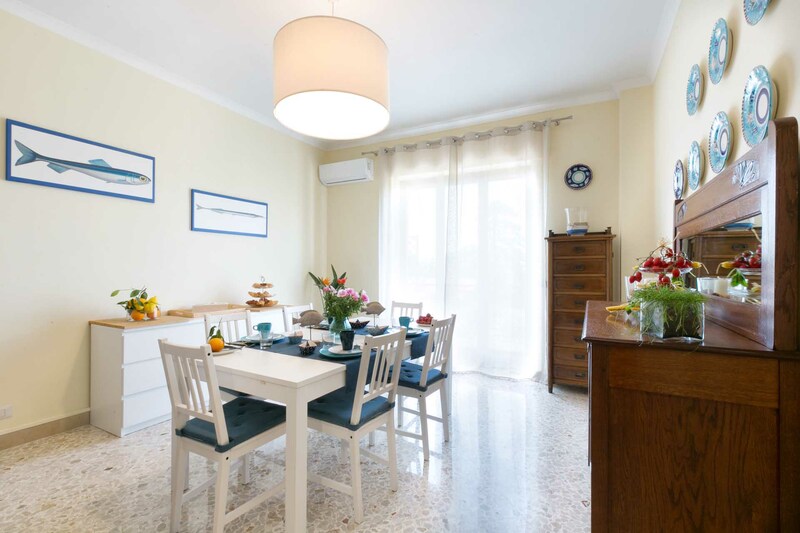 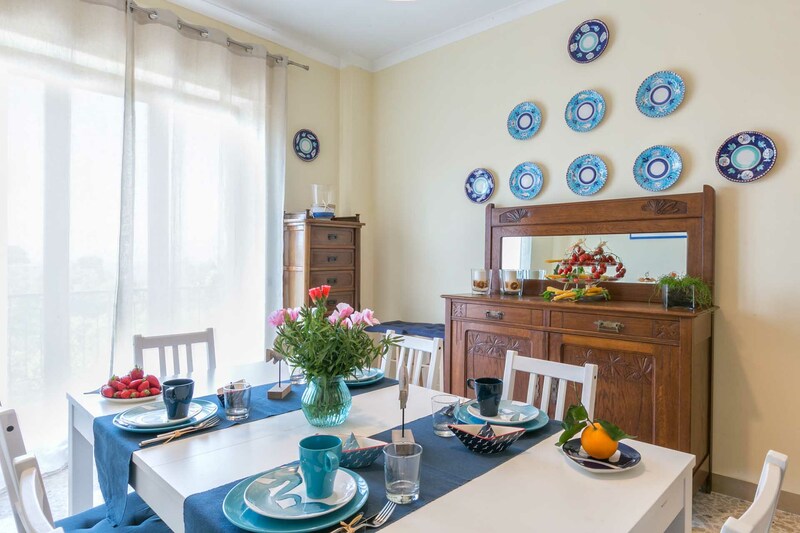 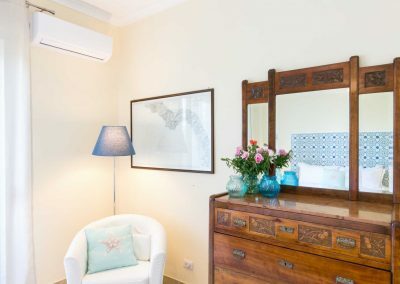 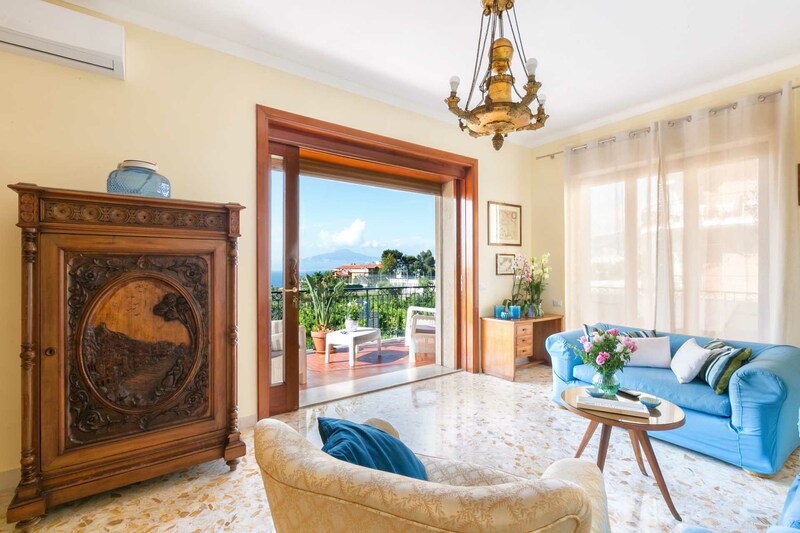 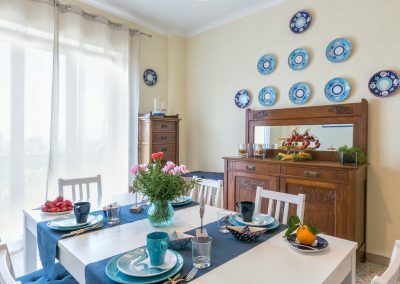 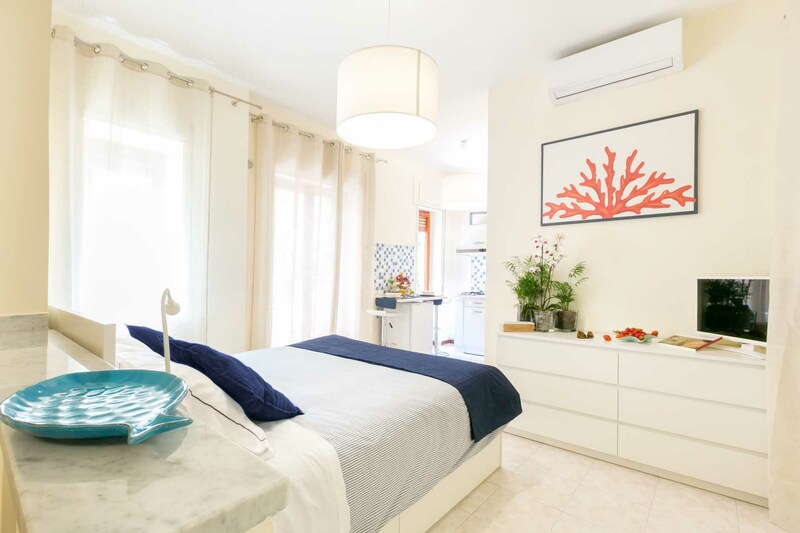 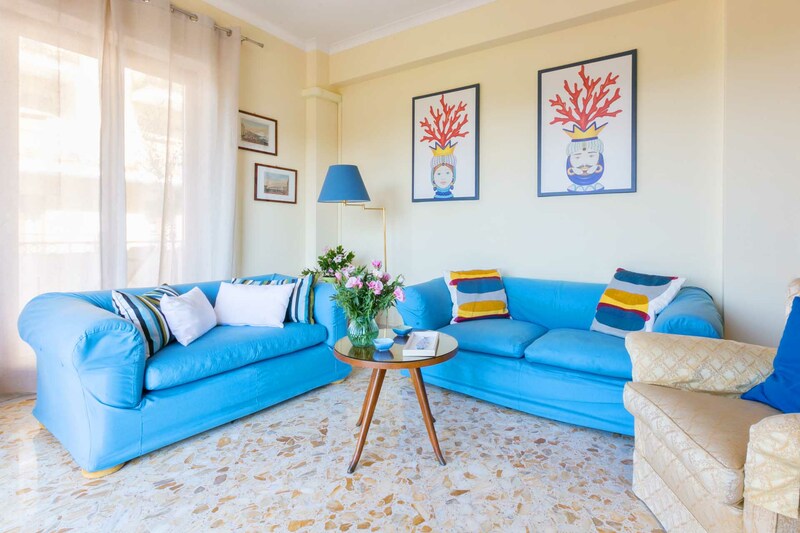 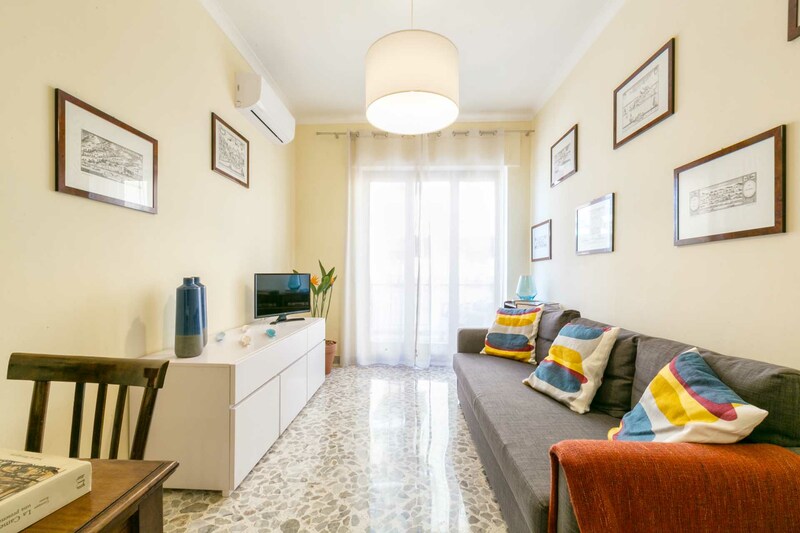 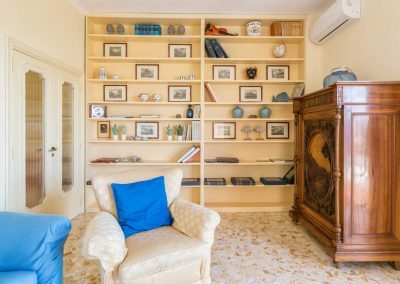 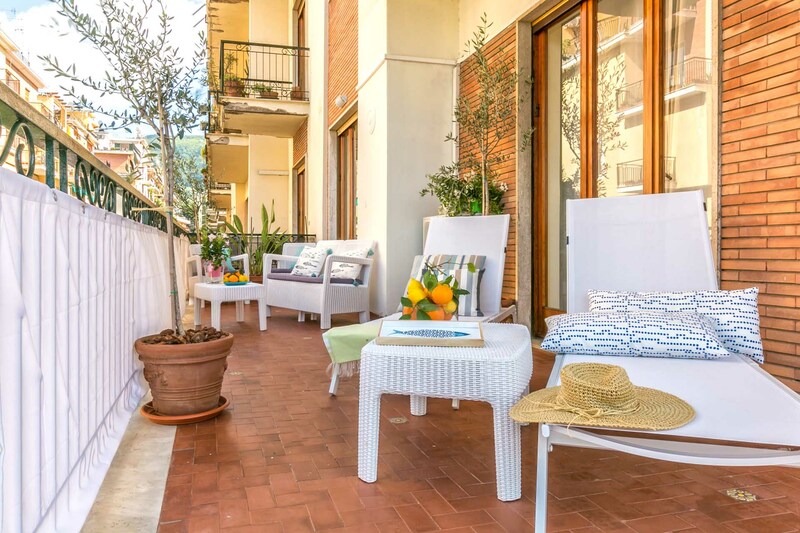 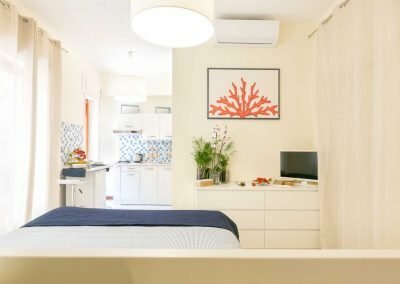 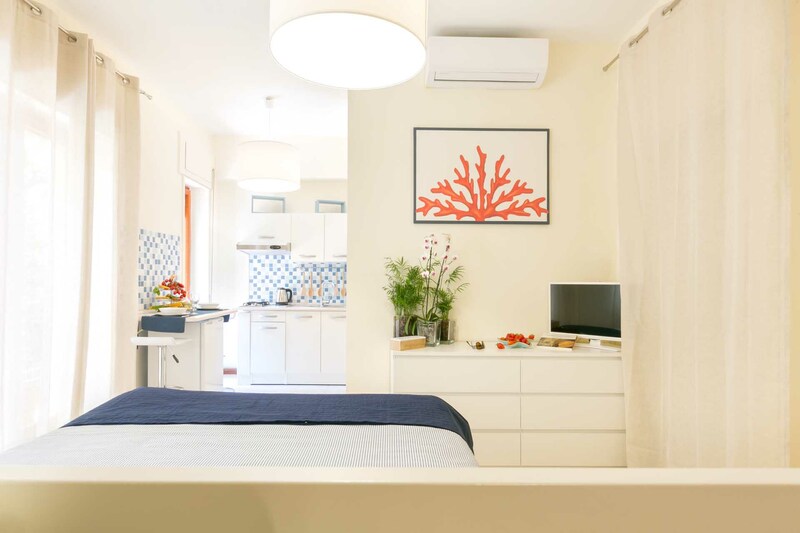 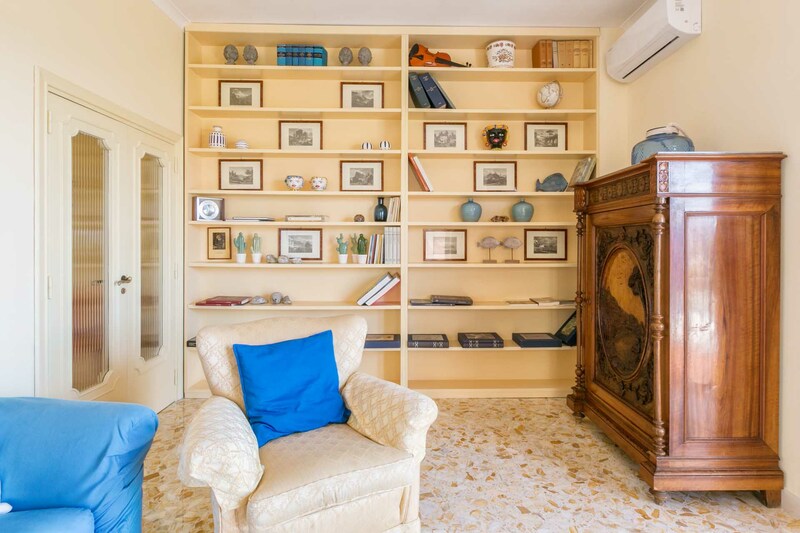 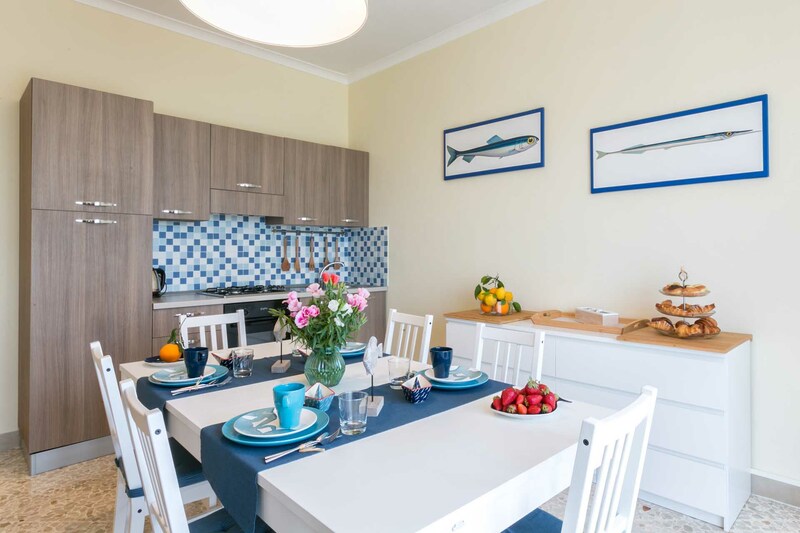 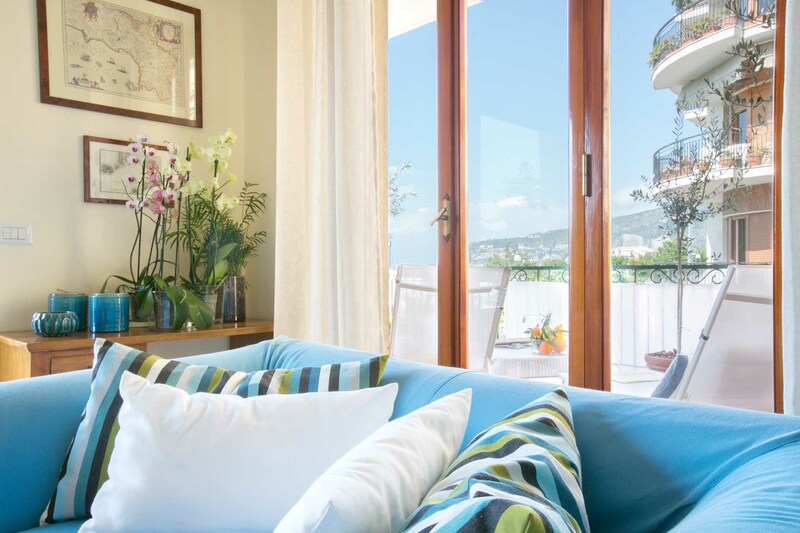 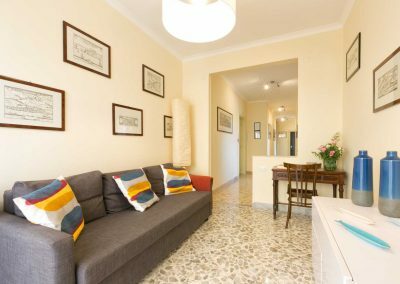 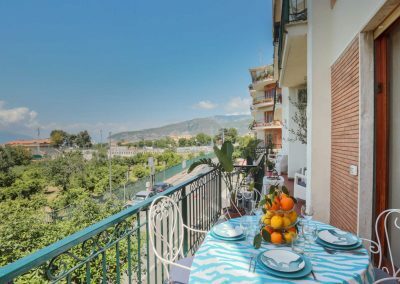 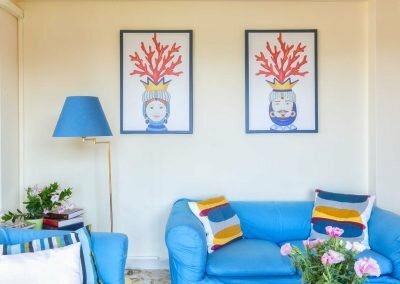 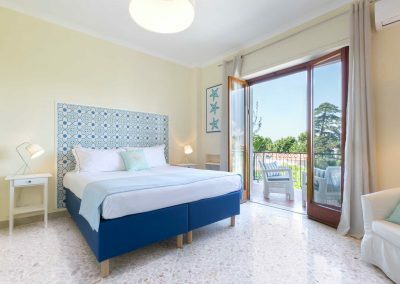 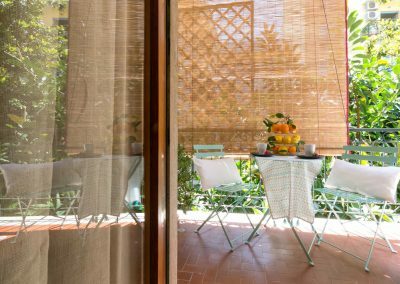 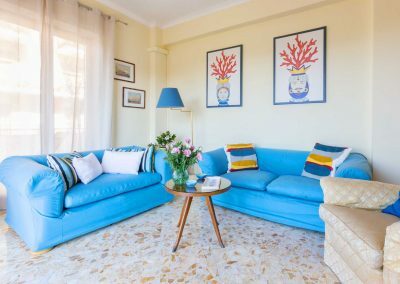 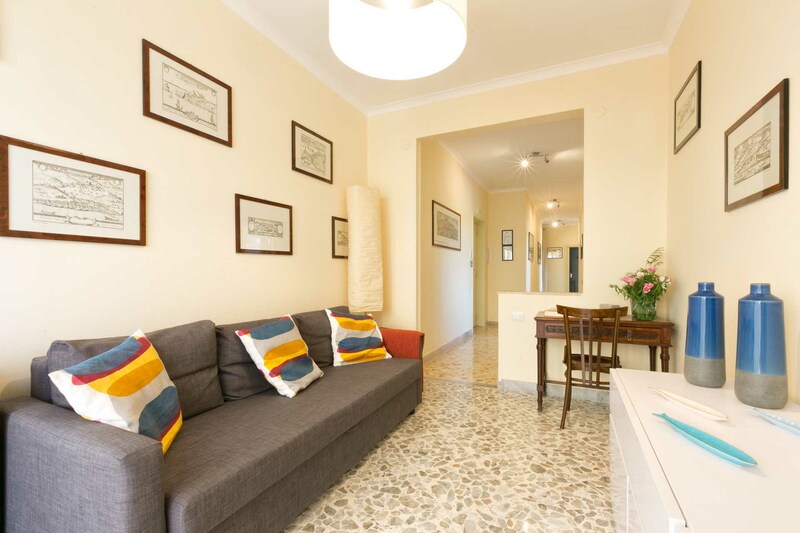 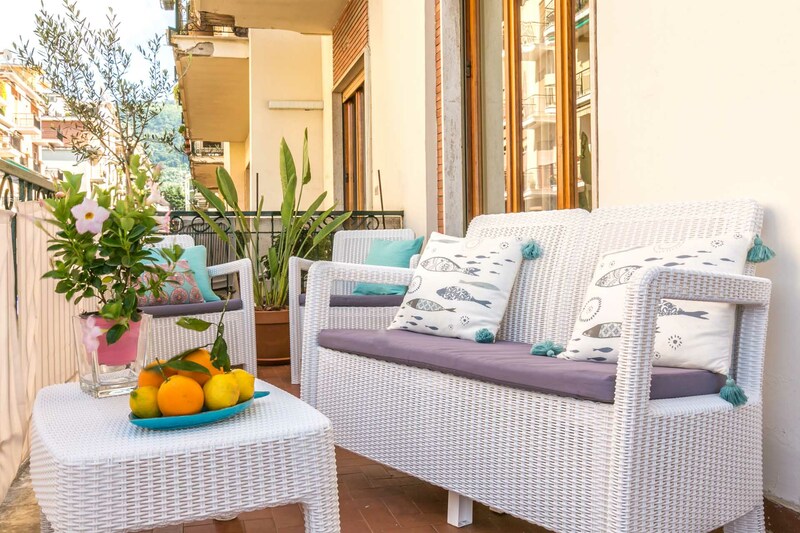 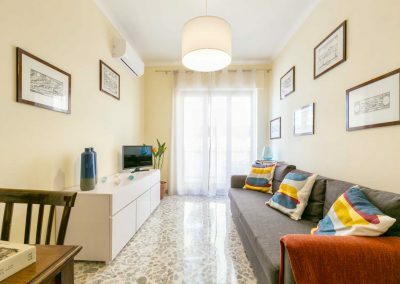 Located in the center of Sorrento, this sea view apartment is nearby the main attractions and transports sites. 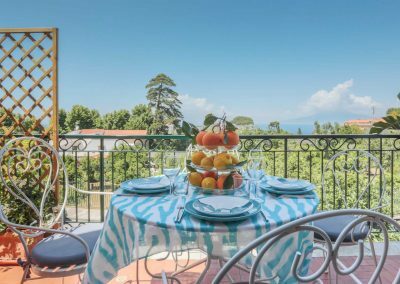 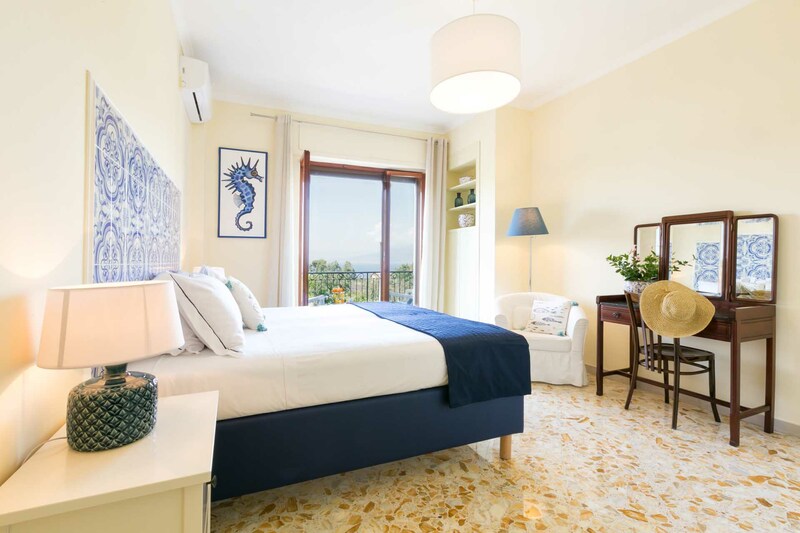 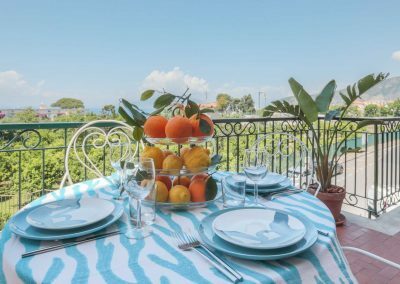 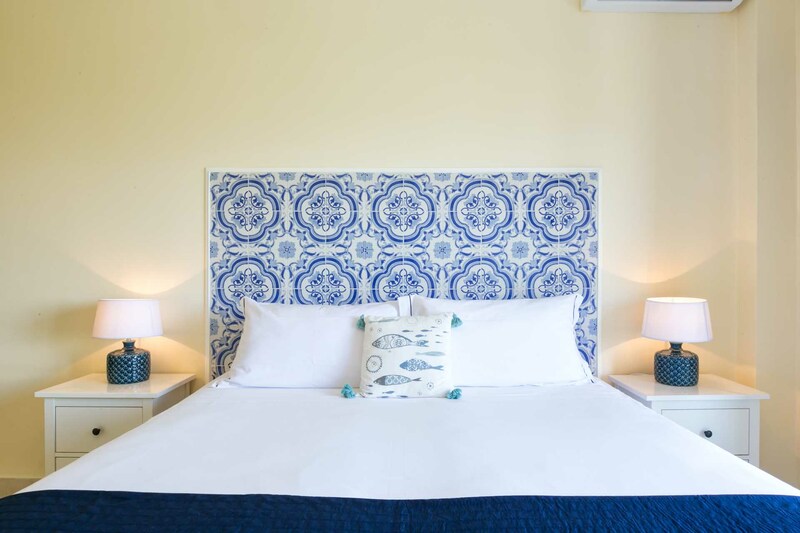 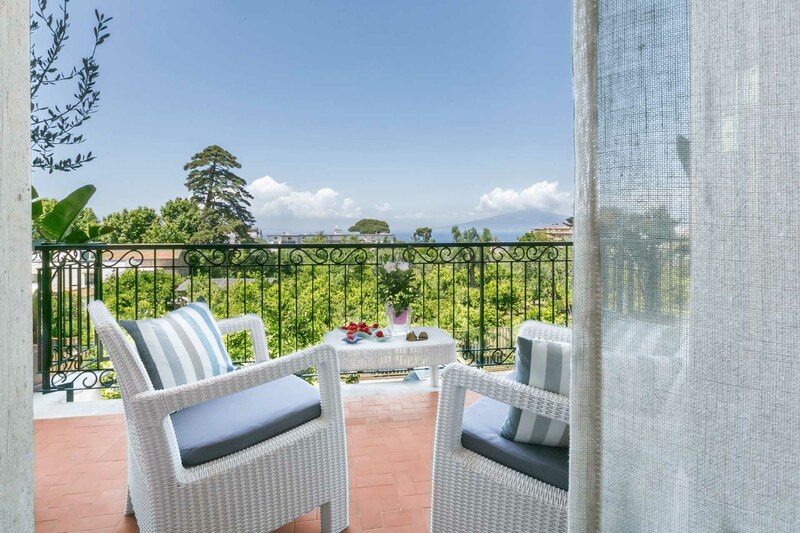 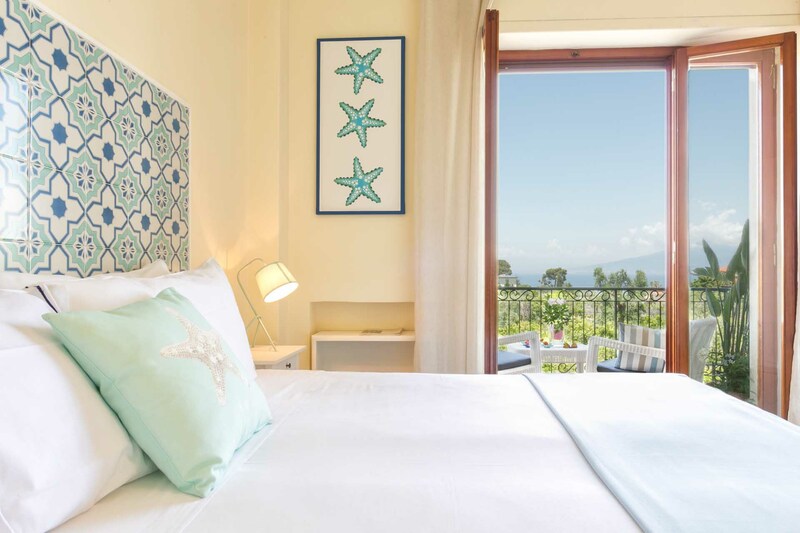 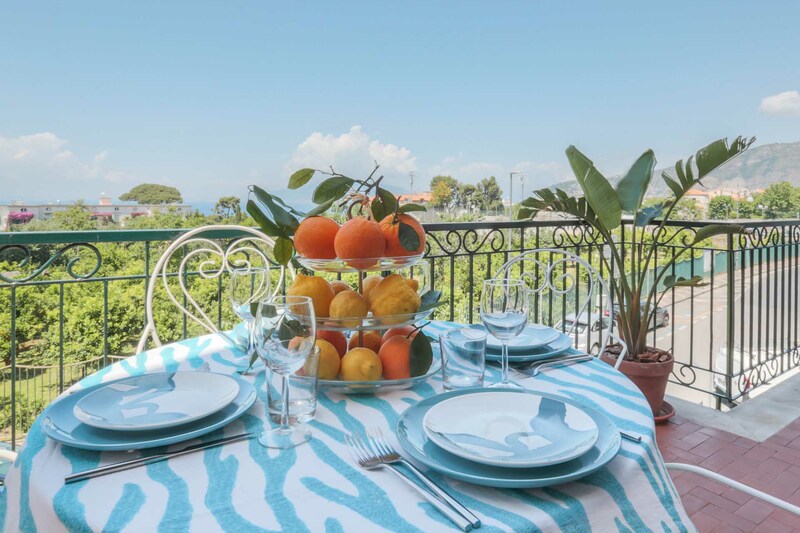 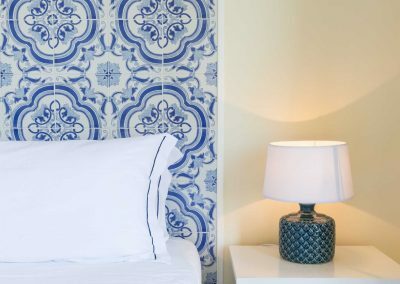 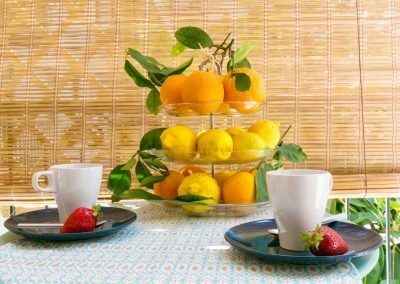 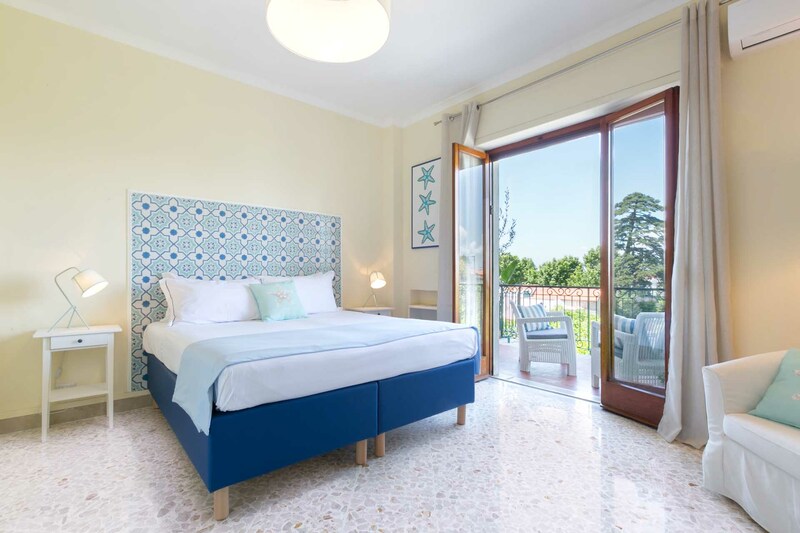 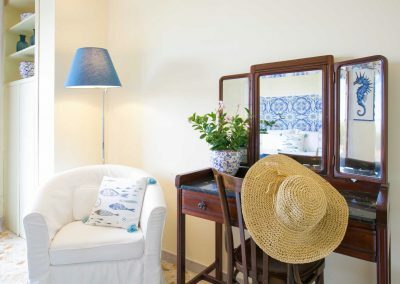 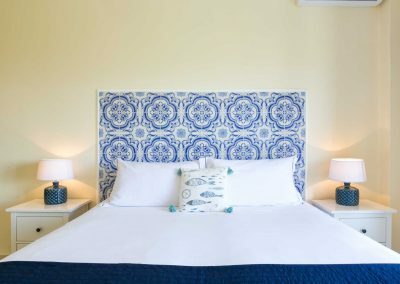 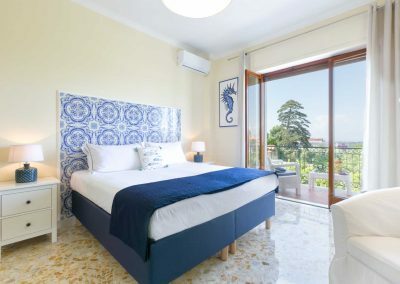 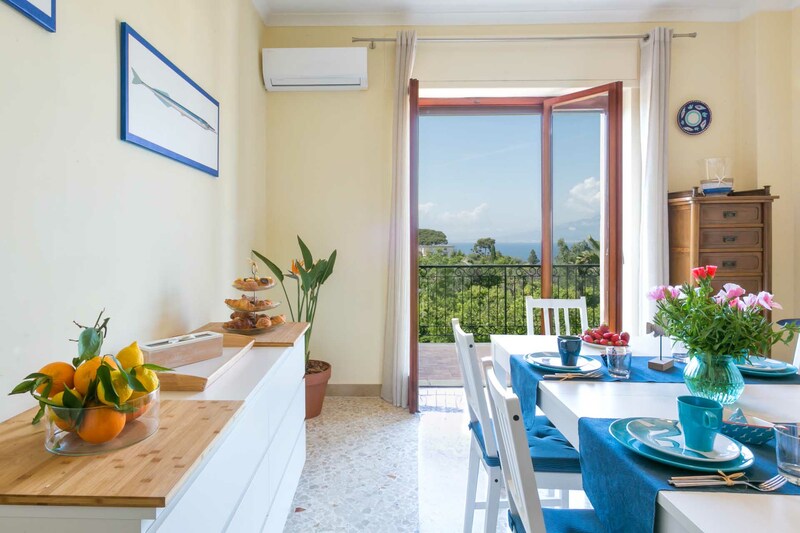 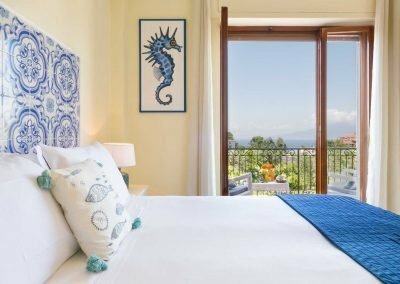 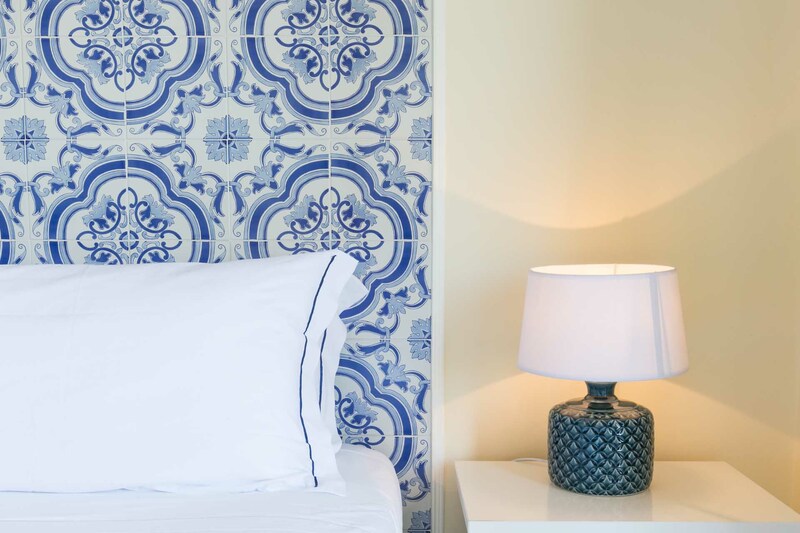 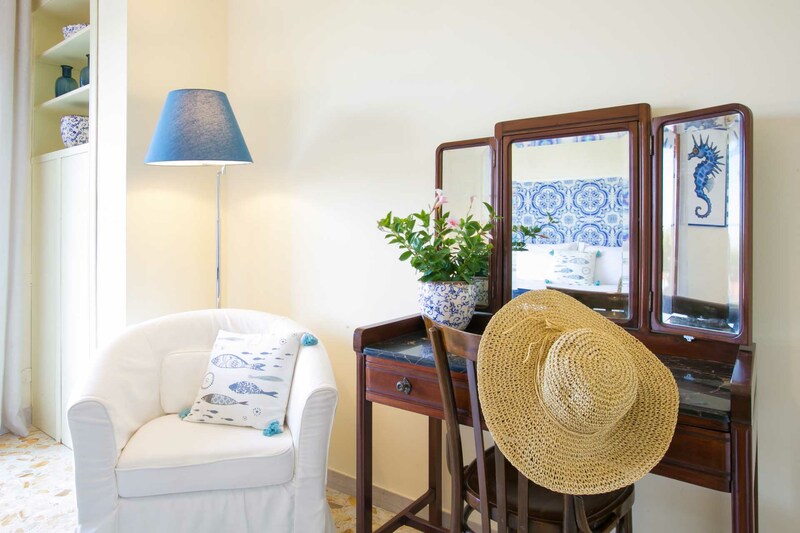 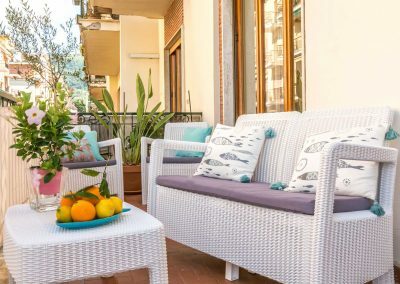 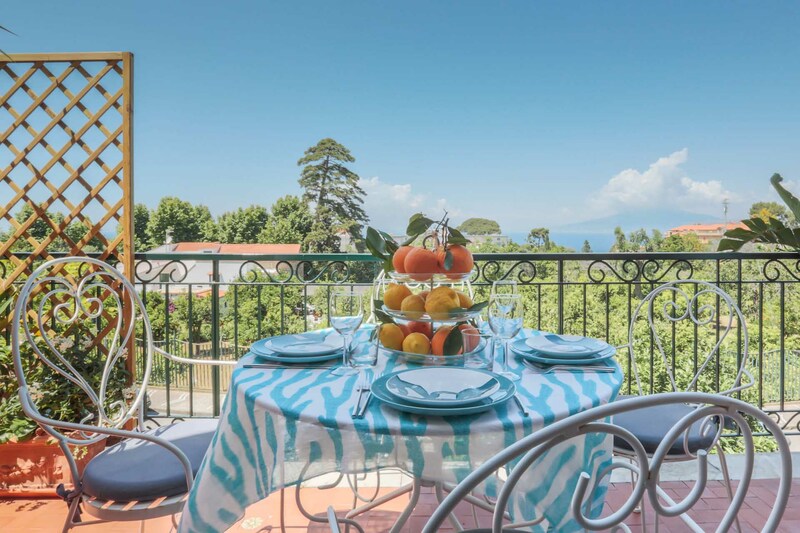 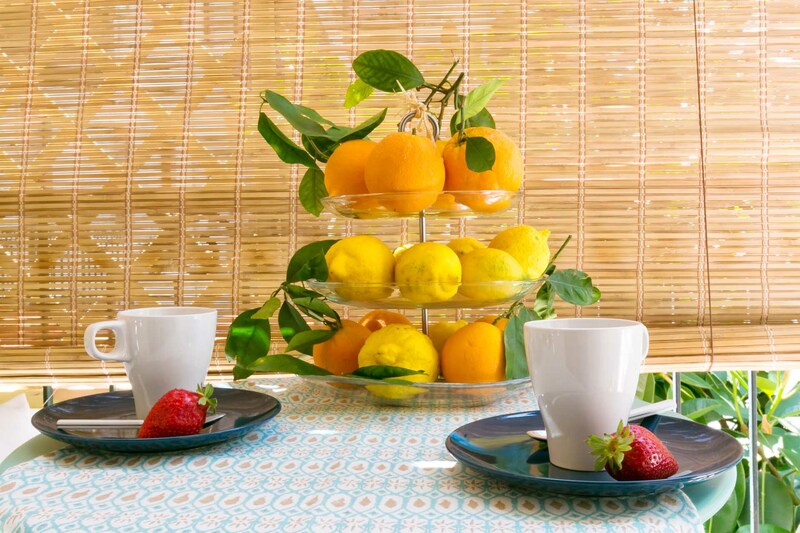 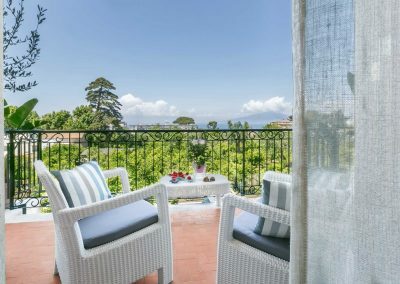 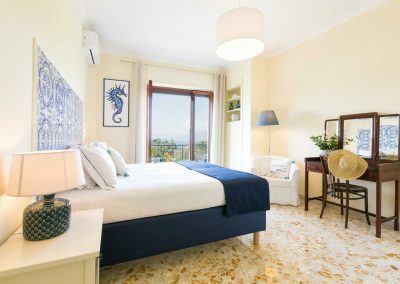 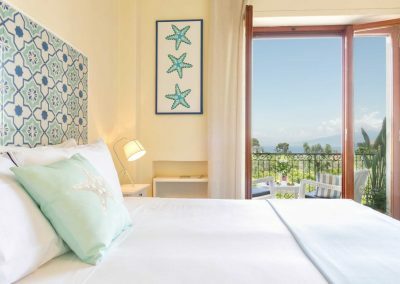 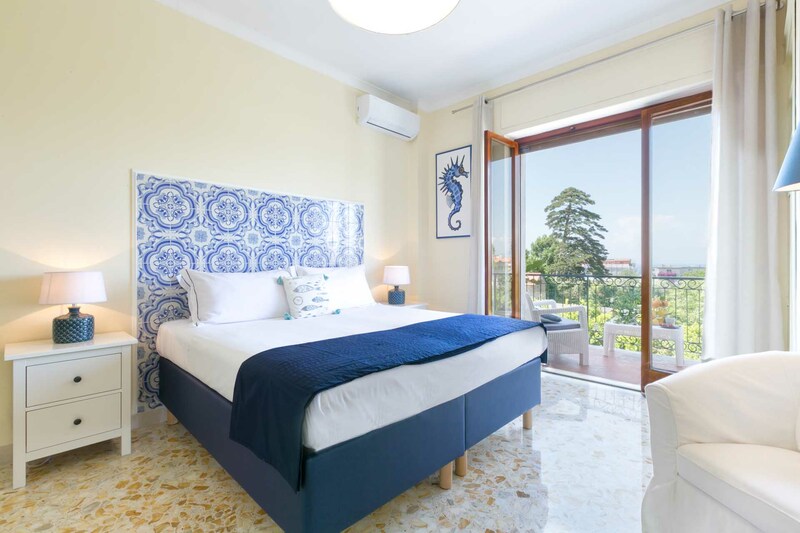 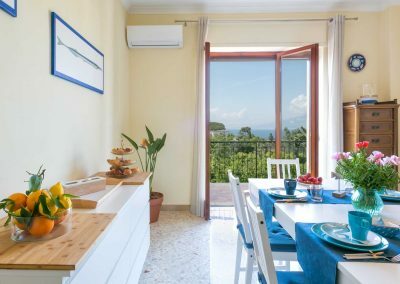 From the terraces you will enjoy the view of the bay and orange and lemon gardens of Sorrento coast: its strategic position makes it perfect to explore the beauty of Sorrento and Amalfi Coast.